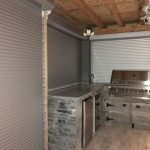 We can also customize security and roll up shutters for special applications, like boat houses, cabanas, cottages, gazebos, laneways, medical records, Muskoka rooms, pool houses, porches, quonsets, sheds, temporary structures and verandas. Protective shutters are ideal for holiday cottages used only during the summer. Special applications roller shutters provide you with a durable protection for your valuables. 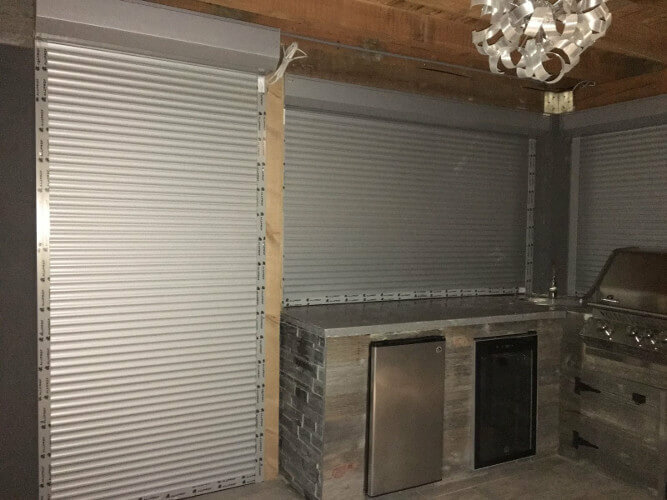 Whether residential, commercial or special applications, your property is well-protected with roll up shutters. You can control these modern roll down gates with your smart phone. Sleep better at night knowing that your valuable possessions are behind walls of steel. 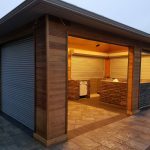 Get an estimate today, so we can start your roll shutter project. 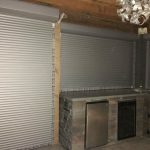 Protect your valuables with special applications roller shutters in Toronto, ON. custom boat houses and cabana pool houses. 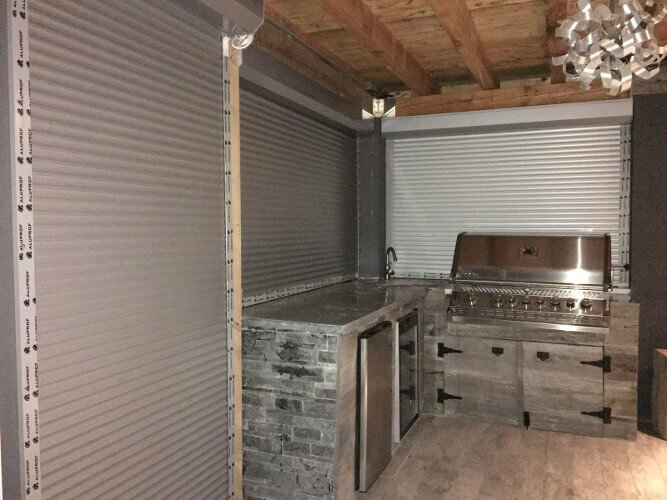 Expensive outdoor kitchenes and TV enclosure protection. 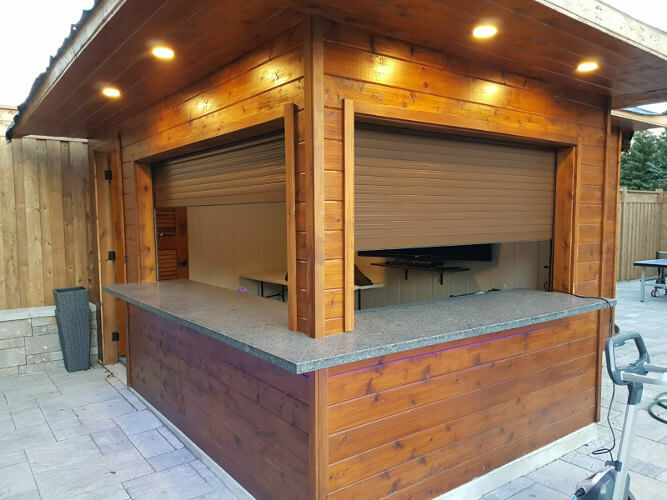 Our roll up shutters can be customized and fitted to any application or structure. They are paintable and can be covered with a vinyl wrap. At ROLLerUP we believe in the balance of security and aesthetics. 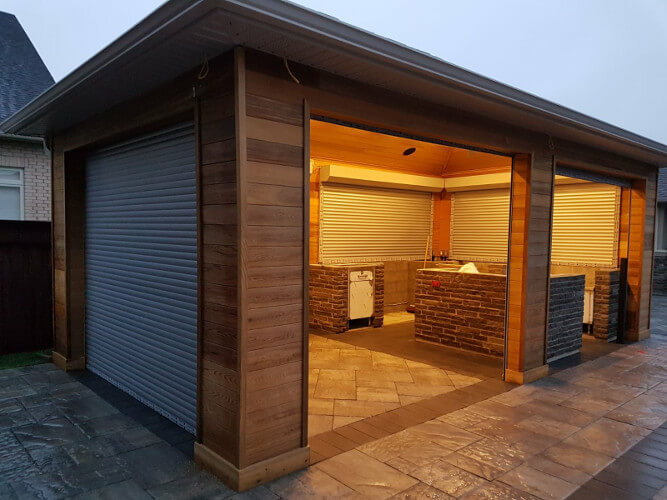 We offer a 5 year warranty on our special applications roller shutters in Toronto, ON. Contact us today for a free professional estimation and consultation. 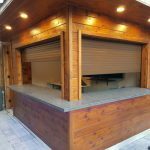 We installed shutters on our outdoor kitchen. It is like having another room outside. Thank you! 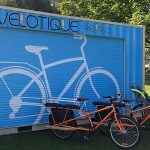 Pleasure to work with Rollerup! The tb enclosure looks great and is weather proof. We would recommend RollerUp to anyone.